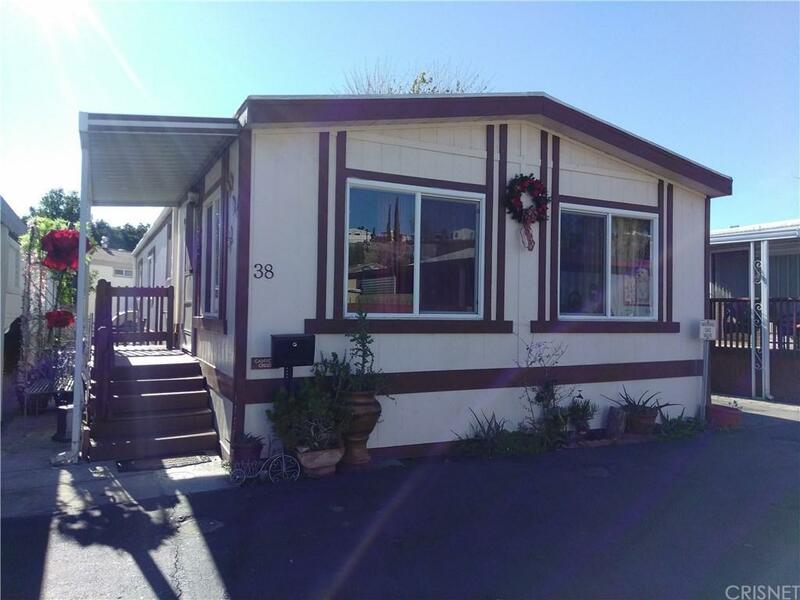 Spacious Double wide 2+2 Mobile home located in a nice family park in Canyon Country. It features laminated flooring, an upgraded kitchen, inside laundry area, parking large enough for 2 compact size cars. Centrally located, close to schools, shopping centers, churches. SPACE RENT IS LOW. Easy access to the main freeways.